Hello from the Department of Media! 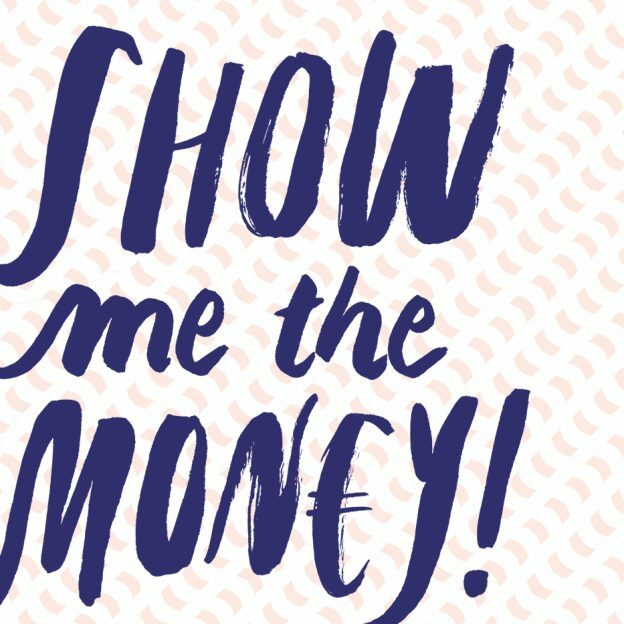 We are offering a webcast from the seminar SHOW ME THE MONEY – The New Economy for Visual Artists and Designers in Global Village tomorrow Thursday 27th of October, starting soon after 9 AM. Webcast will be online during the seminar lectures, keynotes and discussion. This entry was posted in Event, Seminars on October 26, 2016 by Saara. 13-14 Pia Sivenius: ACRIS-tietokannan esittely. TÄMÄ ON PAKOLLINEN KAIKILLE VALOKUVAN JATKO-OPISKELIJOILLE, SILLÄ RESEDA ON JO SULJETTU JA TIEDOT KOOTAAN TÄSTÄ LÄHTIEN ACRIS-TIETOKANTAAN. YKSITYISOPETUSTA EI ANNETA. 14-15 Acriksen käytön harjoittelua, omien tietojen päivitystä. OMA LÄPPÄRI MUKAAN! This entry was posted in Photography on October 21, 2016 by Saara. Deep Time of the Museum. The Materiality of Media Infrastructures. The dissertation aims to address the ecological impact of museums and digital heritage. It suggests a design framework towards sustainability. Discussion will be held in English. The museum has a ‘material bias’. Beyond the materiality of artifacts, vitrines and dioramas, media technologies for digitization, collections and representation play an ever expanding role today in the fostering of cultural heritage. An enormous amount of media systems and infrastructures are required to maintain and support emerging museum spaces and practices. Composed of a complex and historical body of media devices, most of these are an assortment of black-boxed proprietary hardware and software technologies. Energy footprints have expanded and embodied energy remains undocumented. Behind every act of digitization and mediation lies a chain of data centers, rare earth mining, silicon chip manufacturing and dystopian toxic lakes. The life-span of this media infrastructure is limited and obsolescence drives a perpetual upgrading, resulting in colossal digital rubbish and toxic waste. What is the environmental burden carried by museums? What is the material and energetic footprint of digital heritage? How can the cultural assets of memory institutions be sustained? Through a multi-disciplinary and critical approach to museum infrastructures the dissertation aims to address the ecological impact of museums and digital heritage. First, via an extensive excavation of the museum as a media infrastructure the study seeks to understand the materiality of digital heritage as based in the growing entanglements of media devices, energy and material resources. The study then presents two experimental design interventions within and beyond the museum walls. These were implemented to explore novel ecological media infrastructures and operative methods. Finally, combining these with concepts found from the excavation, a design framework is synthesized that provides guidelines for museums and their user communities toward shaping an ecological institution. This entry was posted in Defence, New Media on October 20, 2016 by Saara. Convergence between arts has been taking place for centuries, and it is one of the most productive features of culture today. Some of the most exciting works of our cultural history are the results of the intermingling and cross-fertilization of different art forms and genres. At times the original works might even recede to the background: Kafka’s or Proust’s literary themes are today often more familiar through comics or films than their original novels and stories. 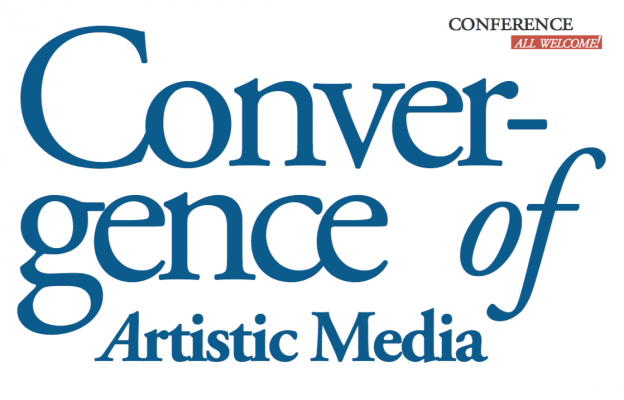 At this conference we will explore convergence between different artistic media – both old and new. As regards new media, Henry Jenkins has proposed that convergence relates to the way diverse media interact via new digital platforms enabling audiences to act both as creators and as distributors of content. We want to pay attention both to concrete aesthetic and technical processes of convergence as well as the more philosophical and cultural differences that convergence contributes to. How does the narration of the original work of art change in the process of convergence? And what happens when a work of art from an ancient era is adapted to a contemporary artistic form? Through these questions we will focus on convergence as a way of celebrating the arts in the 21st century. In this year, marking the 250th anniversary of Lessing’s Laocoon, we also want to go back to the prime examples of works which continue to inspire the artistic imagination in the form of verbal, acoustic and visual media. 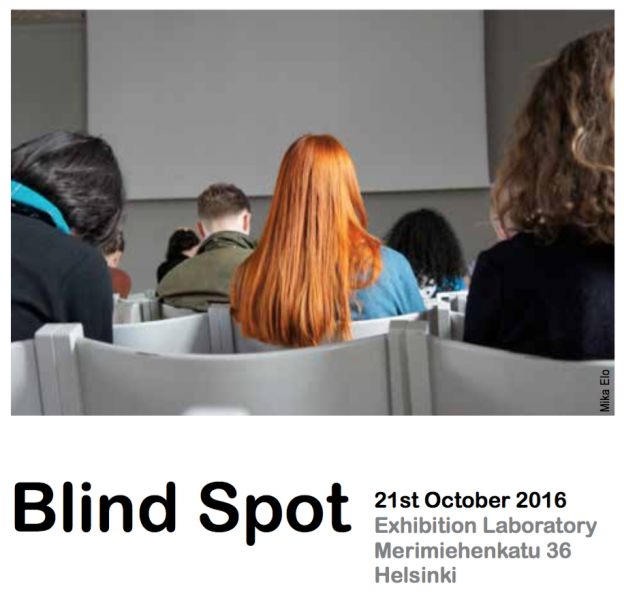 NOTE: Students and faculty from the organizing universities (University of Helsinki, University of Tampere, Aalto University and University of the Arts Helsinki) are welcome to attend the conference program and the Rector’s reception free of charge. Student participation does not include materials and coffees. Please see registration (link above) for attendance! This entry was posted in Conferences on October 20, 2016 by Saara. Welcome to the launch of ”Digital Photography and Everyday Life. 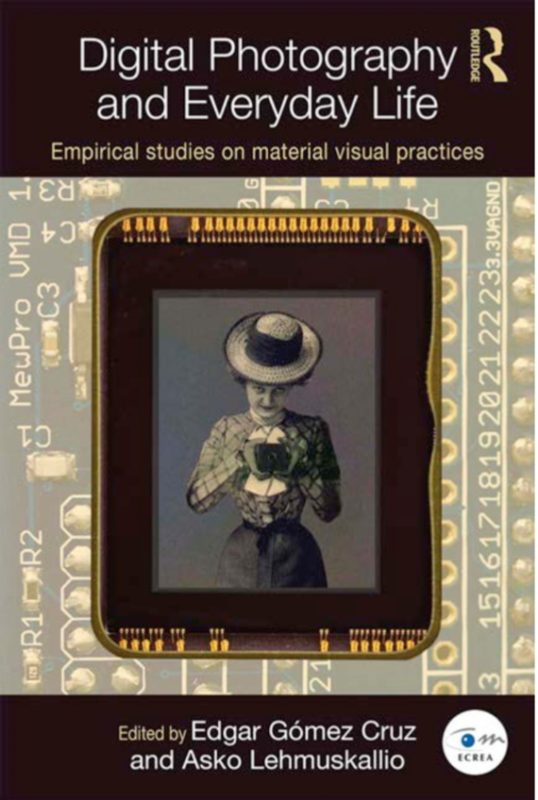 Empirical Studies on material visual practices” co-edited by Edgar Gómez Cruz (DERC, RMIT, Australia) and Asko Lehmuskallio (COMET, University of Tampere, Finland). The book explores the role that digital photography plays within everyday life. With contributors from ten different countries and backgrounds in a range of academic disciplines – including anthropology, media studies and visual culture – this collection takes a uniquely broad perspective on photography by situating the image-making process in wider discussions on the materiality and visuality of photographic practices and explores these through empirical case studies. By focusing on material visual practices, the book presents a comprehensive overview of some of the main challenges digital photography is bringing to everyday life. It explores how the digitization of photography has a wide-reaching impact on the use of the medium, as well as on the kinds of images that can be produced and the ways in which camera technology is developed. The exploration goes beyond mere images to think about cameras, mediations and technologies as key elements in the development of visual digital cultures. Digital Photography and Everyday Life will be of great interest to students and scholars of Photography, Contemporary Art, Visual Culture and Media Studies, as well as those studying Communication, Cultural Anthropology, and Science and Technology Studies. This entry was posted in Event, Photography on October 19, 2016 by Saara. reflect on critical theoretical issues in relation to photography education. Each day will include discussions by members of the journal’s advisory board. The call for 20-30 minute papers is now open. Practice-led creative-critical papers and innovative (2/3person) panelproposals are welcome. All proposals will be peer reviewed. This entry was posted in Conferences, Journals, Photography on October 19, 2016 by Saara. This entry was posted in Graphic Design on October 19, 2016 by Saara. “How do you like me now?” Using movies to investigate the socially biased brain. 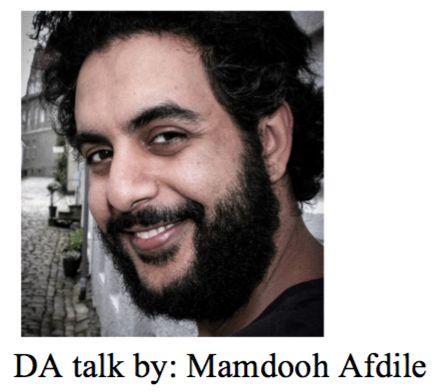 Doctor of Arts at Media Lab Seminar presentation by Mamdooh Afdile. Using movies to investigate the socially biased brain. Our instinctive negative attitude toward “others” – due to prejudice, stereotyping and social misconceptions – causes intergroup conflicts to grow stronger and fuel disparities and discrimination. However, the reason behind this unfortunate neuro-psychological bias, that can easily make us empathize with some while dehumanizing others, remains unclear. Recent advances in the field of neuroscience show that the brain is in perceptual state where film clips can highly engage the brain to respond as if it was perceiving a real social event. These encouraging findings make it possible to use media simulation as a stimulus to investigate complex social dynamics that previously were difficult to investigate. In this Talk we will present a new paradigm using naturalistic viewing of a movie to tap into the biased brain. We will also present our some of our preliminary results using this paradigm. Based on our knowledge, this is the first study to combine cutting-edge neuroscience methodology along with media stimulation to investigate complex social perception. Furthermore, our findings will serve to identify the successful properties needed to develop a future media-intervention application that will function as an effective tool to restore healthy social interaction between and within social groups. This entry was posted in New Media on October 18, 2016 by Saara. Venue: Baltan Laboratories / Natlab, former physics lab of Philips. Renewable Futures is a new conference series that aims to invent new avenues for more sustainable and imaginative future developments. The first conference edition took place in Riga (LV) exploring the transformative potential of art. The second Renewables Futures conference will take place in Eindhoven, aiming to push the boundaries of our thinking about the economy. The conference will be a part of Economia festival organized by Baltan Laboratories in Natlab, former physics lab of Philips. essentials of economy, thus establishing a fresh point of view on the economic system and our society. In the eighties economy transformed more and more into a so called hard science. Economy reduced its various approaches of our complex and unpredictable economic behavior, to one comprehensive theory known as the neoclassical or neoliberal model. This model captured economic behavior in mathematical formulas. It had the beauty of simplicity, the predictability of a formula and sounded too logical not to be true. Like most powerful technologies dating from after the Second World War, economy has influenced the world of our ideas, how we define ourselves, and how we organize our society. Just as the discovery of DNA forced us to look differently at life, and the developments in ICT made our world smaller in unprecedented ways, the neoliberal model caused a huge shift from common interest to individual interest, and from a long term view to a short term view. It is striking how little imagination this hard economic approach generates. Economy has no equivalent of multiple universes, singularity or space-travelling. No strange life forms in the depths of the ocean or on other planets, no artificial or eternal life. Economy is astoundingly prosaic and, rather than to explore and push the boundaries of its own domain, it seems to move inward, in precisely the opposite direction. Since the outbreak of the financial crises in 2007/2008, uncertainty about the effectiveness and validity of the neoliberal model has grown considerably. Economy, as a social technology in its present form, provides no solution to issues of climate change and social inequality. It cannot help us organize social alliances, public interests or develop long-term prospects. Its results no longer appeal. The added value of efficiency and productivity are outweighed by the numerous disadvantages of reducing all values to market value. Although critique on the neo-liberal model grows, no new answers or alternatives have been proposed yet. In the search for new economic insights and alternatives to the current model, why not start by treating economy like any other technology? Playing with it, hacking it, using input from other disciplines, unleashing science fiction on it, approach it in an artistic manner. In short, taking ownership so that we can reshape and rework economy as we see fit. Because however meaningful, criticizing the current model won’t rid us of it. And we aim to do precisely that. The aim of the festival and conference is to approach economy in new ways and look at our economic system and society with the detached view of the visitor, researcher, gamer, alien and artist. We want to reclaim economy as a social/cultural structure that we created, ridding us of the idea of economy as an inevitable law of nature. Economy is about development and evolution. Societies develop and the direction they take is determined partly by the type of economic relationships they develop. Parallels are often drawn between these developments in culture and those in nature. Economy is about rules and laws. Just like other types of relationships in the edifice of a society, an existing system of economic relationships adheres to certain laws and regulations. Gaming is about learning the laws and rules of a game so that you can play it better and better. Economy is about ideas and faith. Credit has existed right from the start of societies, in the form of trust that A would pay B. Just as today, you would do a task for future reward in whatever form. Every form of economic relationship is an idea, or to put it better perhaps a prejudice. Which means it can change. Economy is about supply and demand. The greatest and most misunderstood cliché. Demand and supply is a way to describe life. Each influences the other in an unpredictable and complex ways. Economy is both tangible and invisible. We are familiar with two forms of trade, goods and money. The one that you can handle and the other that exists only in the form of ones and zeros. The latter seems like pure magic. It is with good reason that some of these ‘financial wizards’ call themselves ‘Master of the universe’. THE DEADLINE EXTENDED – October 15, 2016. Notification for acceptance will be sent before 15 of November. 1) a description of the art project (max 1 A4), including at least 2 photos/visual materia and/or a link to the website referring to previously developed works. Selection of artworks will be based on quality, feasibility and the connection to the overall theme. Notification for acceptance will be sent before 15 November. With the subject: Artwork proposal Renewable Futures: Economia 2017. Conference chairs: Rasa Smite / RIXC, Olga Mink / Baltan Laboratories, and Wiepko Oosterhuis. – Katja Kwastek. Professor of Modern and Contemporary Art History, Vrije Universiteit Amsterdam. – Armin Medosch. Professor of theory of art and media, Singidunum University, Belgrade. – Gediminas Urbonas. Associate Professor and Director at MIT program in art, culture and technology, MIT Boston. – Misko Suvakovic. Professor of Aesthetics and Theory of Art, Belgrade University. – Jussi Parikka, Professor in Technological Culture & Aesthetics, University of Southampton. – Dieter Daniels, Professor of Art History and Media Theory, Hochschule für Grafik und Buchkunst Leipzig. – Douglas Kahn, Professor of Media and Innovation, University of New South Wales, Sydney. – Lev Manovich, Professor of Computer Science, City University of New York. – Laura Beloff, Associate Professor and Head of Section, IT University Copenhagen. – Daniëlle Arets, lector Strategic Creativity, Design Academy Eindhoven. – Annie Fletcher, Chief curator exhibitions Van Abbemuseum, Eindhoven. – Dan Diojdescu (MBA). Teacher economy at Avans School of International Studies (ASIS). * Organizers: Baltan Laboratories in collaboration with RIXC and Renewable Future European network, supported by Creative Europe. This entry was posted in Art, Conferences, Theory on October 12, 2016 by Saara.